 This page shows possible ad sizes and locations that are available for rent. This top position will be restricted to one advertiser and will normally not exceed 120 pixels in height. 1. Photons decay over time. The most common example of this is the majority of the observed red shift for most galaxies and stars, and has been misinterpreted as red shift due to motion. Motion induced red and blue shift in photons is apparent for stars that are relatively close to us, but the majority of the red shift observed for the more distant stars is time induced. This red shift has been misinterpreted and resulted in the theory of the expansion of the universe and the Big Bang. 2. The charge generated by an electron is opposite in nature to that of a proton, but is not equal in magnitude to the positive charge generated by a proton. If it were otherwise then a hydrogen item would truly be an electrically neutral body, just like a helium atom. The valence shells of atoms are based on the electrons ability to neutralize the positive charge being generated while also collectively forming a reduced charge barrier. Its this grouping of electrons to effectively cover an area, along with the given FOS density at a given distance from the nucleus of an atom, that produces similar shells across different atoms. 3. The charge generated by a proton is created by wave action on its surface, and in effect compresses the fabric of space onto itself. And in the process generates a rigidity/density gradient of the FOS around itself that is positive charge, and this gradient is the source of FOS pressure that induces protons to move when there is a pressure differential around a proton. Electrons can cause an unequally distributed drop in the pressure around a proton, and induce the proton to move towards what it sees as the lowest pressure region. Driven to do so by the relatively higher-pressure region on the other side of the proton. 4. A neutron is a dynamic system of an electron and a proton. But this is a nuclear electron (pion) and it is a more effective negative body than a proton is a positive producing body. Since the charge generated by each is not complimentary this results in the neutronic system being inherently unstable. Which accounts for the fact that, if a neutron is by itself, a neutron decays with a half-life of approximately ten and a half minutes. It takes at least two protons to generate enough positive charge to indefinitely hold onto a nuclear electron. 5. Atoms and nuclei are in effect really mechanical systems obeying the laws of particle dynamics and probability. With the electrons competing for areas of positive charge within the nucleus and between protons. Collisions and near misses between electrons trigger some of the known forms of radioactivity. 6. The force of gravity is in fact a weak electromagnetic affect of left over positive charge generated by atoms. Since positive fields affect electron paths they tend to spend more time on the sides of atoms facing larger masses of atoms. This presence on one side of an atom draws the entire atom towards the center of mass. 7. Magnetism is predominantly a by-product of momentum induced by electrons on the fabric of space. This momentum originates from the photons that the electrons are derived from. The angular momentum of photons is well understood and plays an important role in both classical & quantum mechanics. For without it the angular momentum of atoms would not be conserved when photons are emitted from them. Electrons that are free to move, or loosely held, are easily influenced by movement within the fabric of space itself. 8. The time dilations seen in atomic clocks flown around the Earth are due to changes in oscillation frequencies and not to changes in time. The oscillation frequency changes due to electrons moving in closer[?] to nuclei as the external FOS gradient pressure drops. While inversely, the electrons could relax their grip[?] on a nucleus as the external FOS gradient pressure increases due to being deeper within a gravitational well. 9. There is only one fundamental force in the universe and that is the electromagnetic force. The weak and strong nuclear forces are just expressions of variations of the electromagnetic force within nuclei. And gravity, is just an effect of the residual, or left over, positive charge of atomic nuclei. 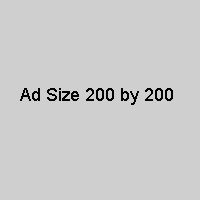 These are the primary ad sizes, but if you wish to submit something else to be considered that is ok. The images will have a clickable link to your web site associated with them, and possibly text below your image/ad. The purpose of this series of pages introducing "The Dynamic Nature of the Fabric of Space" is not only to find a publisher to turn this draft into a book, but it is also to earn enough money to pay off my student loans, and hopefully raise enough money to initiate the Farm Robot Project. With any luck, and marketing, I will also be able to fund my robotic under water camera platform and observation posts. These would be used to both capture images of marine life, and also provide biologists with another tool to study life in the ocean. Along with this research, hopefully there will be a few patent spin-offs to generate additional income to keep the research and projects going. Presently I'm unable to effectively finance my own projects due to my student debt to which I'm enslaved to my student loan payments. By the end of my education, in 2004, tuition had doubled and there was no change in student loans to make up for this. This amount of money had become my short-fall, and for more than the last two years I had to borrow from a friend, my credit card and family to finish my degree. And twice over the years the Canadian government reduced my student loan to penalize me for "making too much money" between semesters. Forcing me to seek out other sources of money and use my credit cards in the first place.